Plugins have traditionally been an integral part of computing, web browsing, and creating content for the internet. And in doing so they've played a major part in making sure the basic functions of even our most mundane online activities work properly and smoothly, from viewing documents to watching movies, and more. Here's the rundown on plugins and how they work. Plugins are software additions that allow for the customization of computer programs, apps, and web browsers; as well as the customization of the content offered by websites. While plugins continue to be used as add-ons to customize programs and apps, their use in web browsers has decreased somewhat, in favor of using browser extensions instead. Plugins are also all of the little add-ons that optimize the content you put out as an online creator. 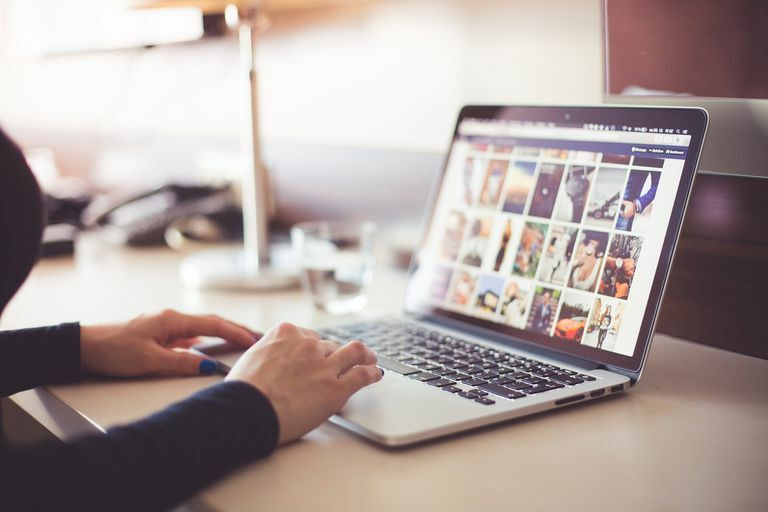 As the content consumer, they're the extras that allow you to experience the internet in a myriad of ways that include images, sound, videos, and animation. Plugins also help web pages and websites be more than just big blocks of text; there are plugins to enhance the SEO of your blog posts, to display YouTube and Vimeo videos on your website, or even help customize your website's fonts. What Are Some Good Plugins to Have and Why? While the once widely used web browser plugins have fallen out of favor, with many of them no longer supported by popular browsers, and having been largely replaced by the use of browser extensions, there are a few plugins that are still useful with everyday computing and browsing. Adobe Acrobat Reader: We're all expected to view PDFs these days. This plugin allows you to access and view those important documents. Adobe Flash Player: Sometimes, in order to view videos online, a plugin called Adobe Flash Player has to be enabled. Bukkit Plugins: For those into Minecraft, Bukkit plugins are a type of plugin that provide countless ways to customize how the sandbox video game can be played. These plugins allow you to do things like have multiple worlds within your server, protect certain regions of your server to protect your creations, or even create maps of your worlds that update in real time. HP Print Service: Allows you to send print jobs from an Android device to an HP printer. This plugin can be downloaded like an app from the Google Play Store. Samsung Print Service: Allows you to print from Samsung mobile devices, as well as most Android devices. This plugin also allows print jobs to be sent to a wide variety of printers, including: Brother, Canon, Dell, Lexmark, Sharp, and Xerox. You can also download this from the Google Play Store. WordPress Plugins: If you're a blogger on WordPress, these plugins are a great way to customize the look and content of your website. Adobe Acrobat Reader and Adobe Flash Player are two of the most common and important browser plugins that help us do simple things like watch videos and view PDF documents. They're so commonly used, many browsers and PCs come with them already integrated. WordPress plugins are for those who want to create and develop their own content using a WordPress website. There are thousands of plugins WordPress bloggers and website owners can choose from to customize the look and content of their websites. If you don't already have these plugins, here's how to find them. Adobe Acrobat Reader is free to download and use. You can download it from the Acrobat Reader website. The free version will allow you to view, print, sign, and annotate PDF documents. The Adobe Flash Player plugin allows us to watch things like YouTube videos and view .swf animations and graphics. Many browsers already come with Adobe Flash Player, so the only thing you have to do to make use of it is either enable it when a website you trust prompts you to do so or adjust your browser's settings so it's always enabled/allowed. Here's how to enable Adobe Flash Player in two of the more popular browser: Google Chrome and Microsoft Edge. Open Chrome and navigate to your desired website. Within Chrome's Search bar, to the left of the website's web address, select either the Lock icon or the Info icon, which is a lowercase 'i' in the middle of a circle. When a menu pops up, select Site Settings. A new browser tab will open. Select the Flash dropdown menu. Select Allow to enable Flash in Google Chrome. Select the three-dots icon in the far-right corner of the screen. A menu will appear. Within the menu that appears, select Settings. Scroll down until you reach the Advanced settings, then select View advanced settings. Toggle Use Adobe Flash Player to On to enable Flash for Microsoft Edge. WordPress plugins allows bloggers and content creators to do so much more than just publish text posts; bloggers and website owners can add things like image galleries, videos, and even display Instagram feeds. Most WordPress plugins are only available to website owners who subscribe to WordPress' Business-level premium plan. There's a vast collection of WordPress plugins on the internet, and one of the biggest searchable collections of WordPress plugins is the WordPress.org Plugins page. On the Plugins page, WordPress users can browse thousands of plugins they can download directly for use on their own websites. Jetpack: Helps with Search Engine Optimization and community engagement. Yoast SEO: Another that also helps with SEO.